The smallest rotating head in our offer, yet with a very good brightness thanks to RGBW LEDs with a total output of 40 W and full features such as large light effects (full menu, console bracket, DMX, detailed parameter setting, 4-in-1 diodes). 4-in-1 LEDs. Possibility to control the DMX512. Supplied with console to hang the head on a structure or truss. This product can be directly controlled by music via the USB connection! Hardware and software, which allows controlling of light show only thru playing music. 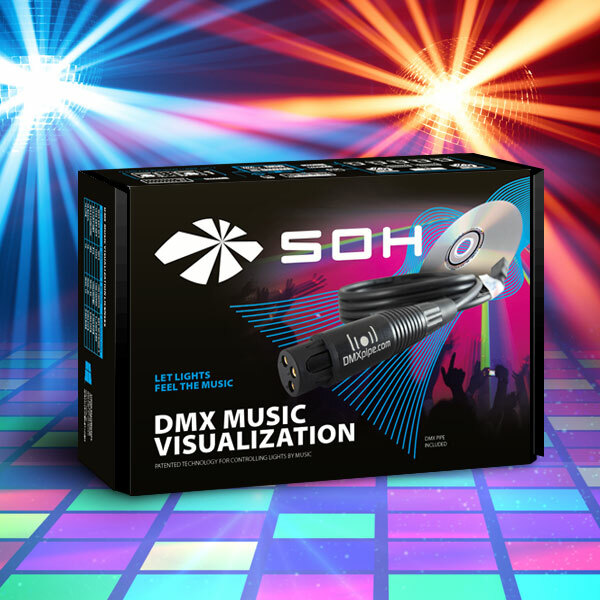 Usable for any kind of light technics equipped with DMX512.